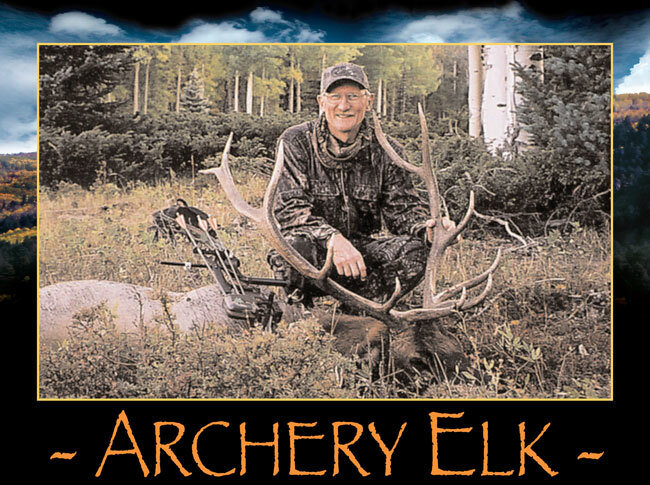 RBO’s archery elk hunts provide clients with the ultimate in “up close and personal” hunting experiences. With 3 five-day elk hunts occurring in September of each year, archery elk hunters are afforded the opportunity to enjoy a great primitive weapons hunt with lots of bugling bulls. Basic hunt strategies involve spot and stalk and bugling since the “rut is on”. Most bulls taken by bow are between 20 and 40 yards. It is highly recommended that bow hunters use compound bows with a draw weight in excess of 65 pounds with quality carbon arrows and multi blade broadheads. Landowner licenses are provided for purchase. For hunters “flying in”, Albuquerque, New Mexico is the recommended airport, and car rental is available to the meeting location. Plan on approximately 3 hours driving time. - extra site, rest, string, tab/release etc.